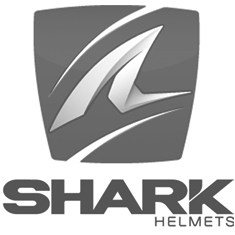 The S-Drak is Shark's latest in its distinctive line of urban-focused helmets. Its clean lines show off the strong carbon fibre shell, which is designed to closely follow the contours of the skull. A detachable vented face mask gives the S-Drak its characteristic looks. The internal drop-down visor sits on top of this mask and has an anti-scratch and anti-fog coating.